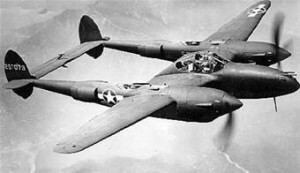 On April 21, 1942, 2nd Lt. Willard J. Webb was piloting a P-38E, (Ser. No. 41-2111) at 15,000 feet over the Bridgeport Airport on a performance test flight. He’d just completed the flight and was starting to head down to the field when the aircraft began to violently shudder and shake. The following is an excerpt from the Army crash investigation technical report in Lt. Webb’s own words. Lt. Webb managed to bail out as the aircraft plunged into Long Island Sound. Ha too came down in the water and was rescued by a boat and brought ashore where he was treated for a dislocated shoulder. At the time of his accident, Lt. Webb was assigned to the 61st Pursuit Squadron (I). He received his pilot’s wings October 31, 1941.